Sometimes we just want to remove our frustration and there is nothing better than punching… I can assure you that. But, if you are going to buy a punching bag just to remove your frustration than going for a cheap option would be a wise choice. 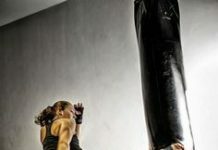 Therefore, this post will guide you how to go about buying a decent maize punching bag for your home gym. 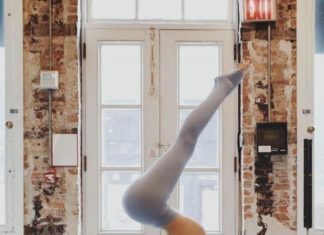 Not only it is a great way to remove your anger, but it also improves your body work, speed and focus. The maize bags are also known as speed bags and they come in various shapes and sizes. Usually, pear-shaped maize punching bags are the most used speed boxing bags in the market. But, to help you, we have made a list of some low-cost, better-quality, and good-looking maize punching bags. 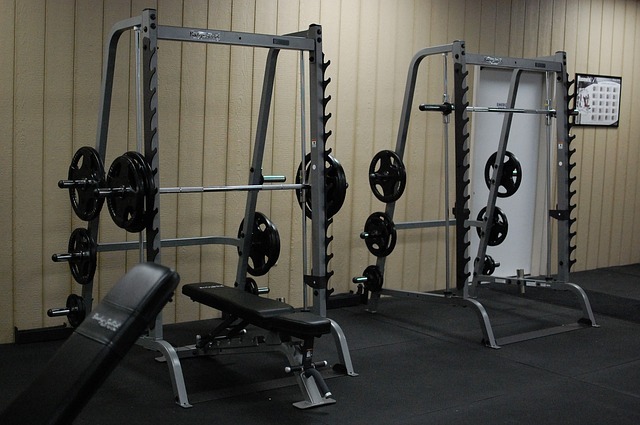 So, you can train at any hour of your choice and make your gym proper by using the right kind of training equipment. Here it goes: The best maize punching bags in the market – list is available below. What are Maize Punching Bags? Do you need one? The maize-based bags were initially filled with maize. They were used by gymnasiums to improve the punching accuracy of the boxer and improve his foot work. This was done to make him agile and nimble enough to dodge the punches of his opponent. Today, these maize-based punching bags are not always filled with maize. Sometimes they are filled with water and at other times just by air. These maize-based punching bags are great for improving the accuracy of your punching, or just to remove frustration after a fretting day. 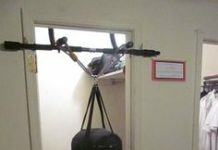 But, the main reason most people buy them instead of an actual dummy punching bag is because these are lower in cost and lighter, which allows the room-ceiling to carry their weight easily. This is a 60cm by 60cm maize heavy punching bag made for speed and accuracy. The dummy punching bag is of hard plastic and can be filled with either grain or water. The users can also fill it with grain or sand as per their discretion. 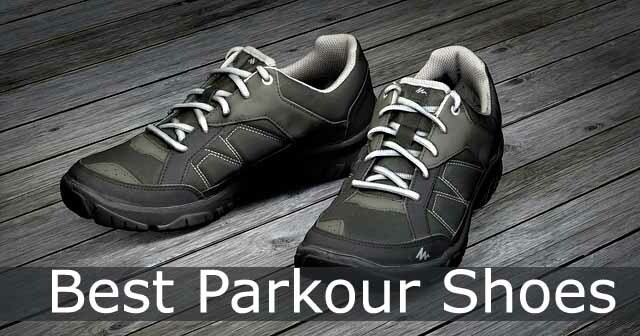 Further, it comes with double-chains, double-leather and polythene fabric for greater support and quality boxing workout. Wrecking ball punching bag is by RDX MMA manufacturers. They manufacture other MMA equipment as well but the Wrecking ball maize punching bags are one of the most high-rated items by them. Next we have the TurnerMax maize punching bag that’s available with gloves, stretch bands and swivel chain for hanging. The turnermax bag is made of leather and polythene plastic material that makes it stronger. This means the user can use it with less limitations as there are less chances of the bag getting ripped due to impact. The turnermax bag is one of the best options for home gyms because of its high quality and rock-bottom prices. As for the ratings, users have said that it can be used for all types of punches including upper jab, lower cut, straight, turned, and even elbow knocks. 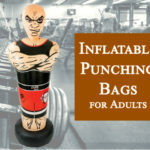 Further, the dummy punching bag is a great fit for all including experts and beginners alike. If you think you want a small flexible speed punching bag for low price, then this might be the best option available. Next we have the content fight sports body snatcher bag. 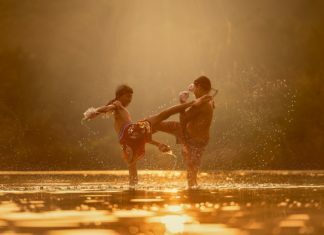 It is a great fit for anyone learning to box. The maize punching bag is made with leather and supports soft fillings. It is up to you to fill it with the material of you choice. Generally speaking, the contender sports bag can be filled with grains, rice, maize and air for speed boxing or sparring, it should however be filled with sand and water if you are looking for serious impactful workout. One reason to buy content sports bag is because of their better quality and renowned service. 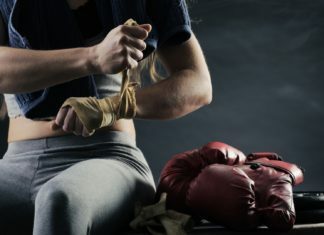 Most people know about them as contender Sports Company is already in the home gym equipment manufacturing business and most of its products are already being sold on Amazon. It is a great fitness training equipment and provides high-calorie burn ratio while sparring. Get it today from Amazon for lowest prices online. You will also need a couple of other things including hooks and nails to hang it on the wall. Contender Body snatcher sports bag is the latest one in the market. Next we have the Ringside powerhide speed punching bag. It is made of pure leather with teardrop shape. The bag can be filled with the material of your choice, like already explained earlier. This dummy boxing bag can be filled with 75-80 pounds of maize, sand or water. It measures 22-inch x 24-inch. 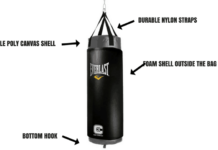 The boxing bag includes a chain and swivel. Users have rated it higher on the rating scale and said that the bag is a perfect fit for martial arts practitioners. Majority muay thai fighters use the ringside powerhide punching bag for sparring practice. 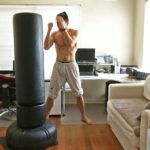 This guide is for anyone who is buying a speed boxing bag for the first time. We, as beginners, prefer to buy a cheap, durable and affordable maize punching bag that can be used for speed boxing. 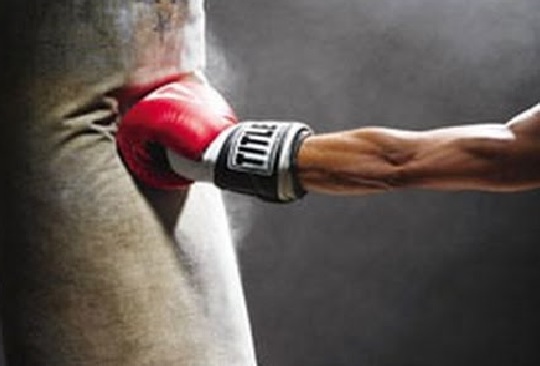 Speed boxing or agility boxing is used to improve the focus and hand to feet movement. These bags are used in regular training and are especially recommended by martial art trainers. Speed bags are also a great way to improve your physical posture and are used by many people in their home gyms. So, while buying a speed punching bag for home gym, remember to complete the below checklist. The speed bags are of multiple types. Now a days you will find many rubber and plastic speed bags in the market. But, maize bags are also in use. Remember to check that the bags are of high quality and will not get punctured by a few hits. These bags will of course be more pricey but will have a longer lifespan. The speed bags are of plastic, leather, maize, rubber and even wool. Different bags are used by boxers. In gymnasiums, usually plastic, rubber and leather speed bags are used. But, maize and wool bags are also in circulation. The speed bags need to be light weight and smaller in size so they can move faster than the hand. That’s the only way they will be able to increase the hand body movements. The best speed bag fillers include maize, air, water and sand. In gyms, sand or air is usually used to fill the bags. The price of a speed bag can be from $20 to $200. Depending on the quality, size, fillings and manufacturer, the price of a maize speed bag can vary.